Looking for adventure? We’ve got the answer! Grab your boots, binoculars, and bug repellent, make sure your camera battery’s charged, and get ready to explore some of Belize’s wildest, most remote terrain. This ten-day itinerary will take you from the rugged district of Cayo, where you’ll explore ancient Maya ruins and caves, to the tropical forests of Orange Walk, where you’ll take a boat ride deep into the jungle to track down howler monkeys, crocodiles, and the elusive jaguar. You’re last stop will be district of Toledo (also known as Belize’s last frontier) for a chance to explore to Maya towns, cacao plantations, caves, rivers, and rain forests. You’ll arrive at the Belize City airport and transfer to your hotel in the Cayo District. Located in the western part of the country, Cayo is home to rain forests, pinelands, vast cave systems, and some of the country’s most renowned ancient Maya ruins. Hotel options may include Hidden Valley Inn or Pook’s Hill. 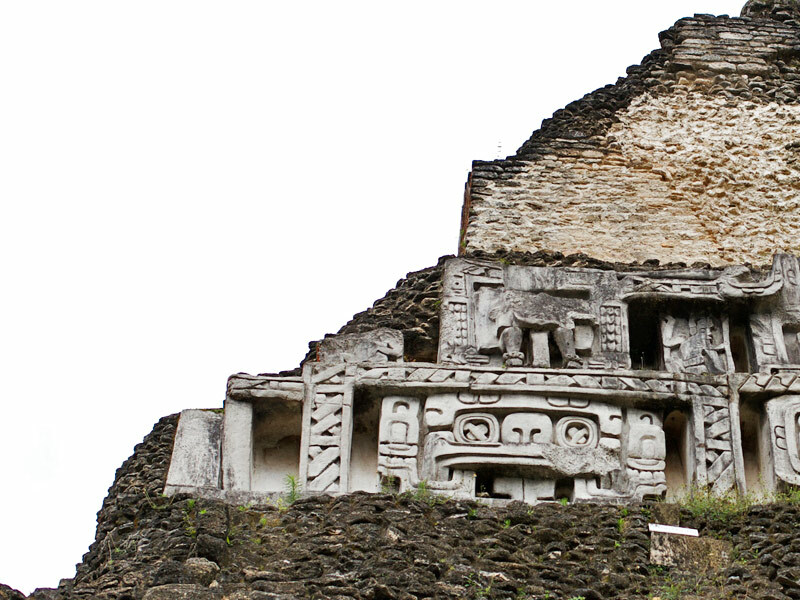 You’ll visit the Maya ruins of Caracol. 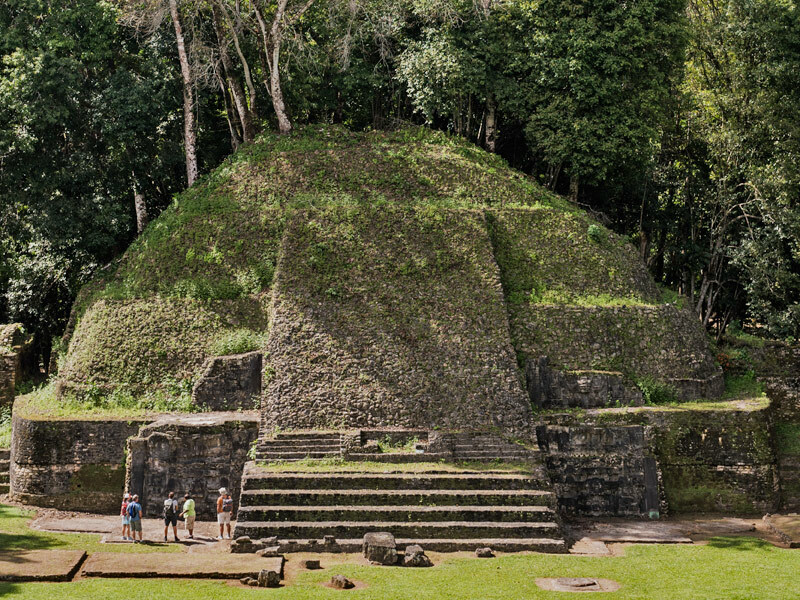 Enshrouded by thick jungle, Caracol is the largest archaeological site in Belize and reached its peak around 650 A.D., when it was a bustling city of temples, plazas, markets, and residential areas. Thousands of structures have been discovered, including a lofty 43-meter-high (140-foot) pyramid called Caana. After touring the site (and feasting on a picnic lunch), you’ll travel to the nearby Rio On pools (a series of beautiful pools connected by small waterfalls) for a dip in the cool waters and explore the large Rio Frio cave that’s in the area, as well. 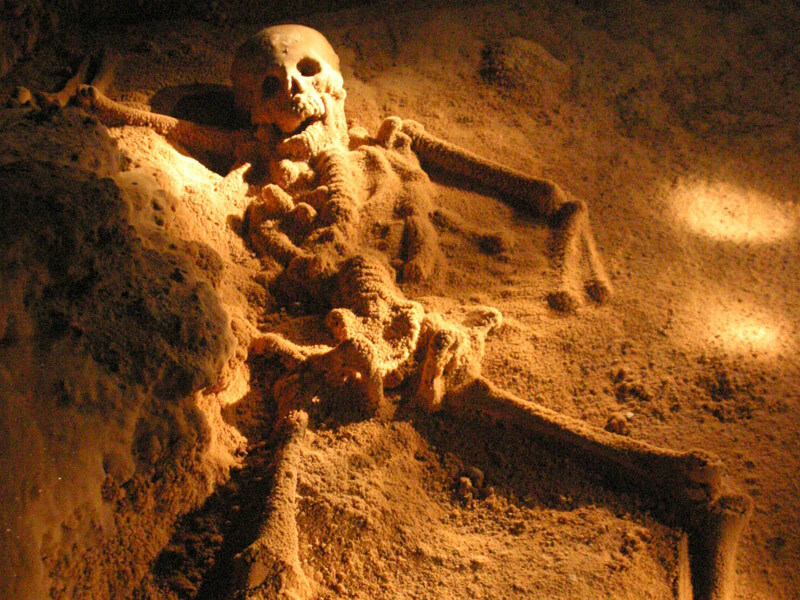 You’ll explore Actun Tunichil Muknal (ATM), a three-mile-long (five-kilometer) cave in the foothills of the Maya Mountains once believed by the ancient Mayas to be an entrance to the underworld. Touring the cave is an incredible three-hour adventure and begins with a 45-minute jungle trek during which you’ll learn about the local flora and fauna. The cave system itself consists of a series of cave chambers, including one massive opening where original Maya artifacts remain and sacrificial ceremonies most likely took place. You’ll travel by car to Belize City and then continue on to the Lamanai Outpost Lodge by shuttle and speed boat. Located in Belize’s northern district of Orange Walk, the lodge sits on the jungle-lined New River lagoon, next door to the famous Lamanai archaeological site. You’ll have the chance to enjoy the myriad wildlife and archaeological tours offered by Lamanai Outpost Lodge. 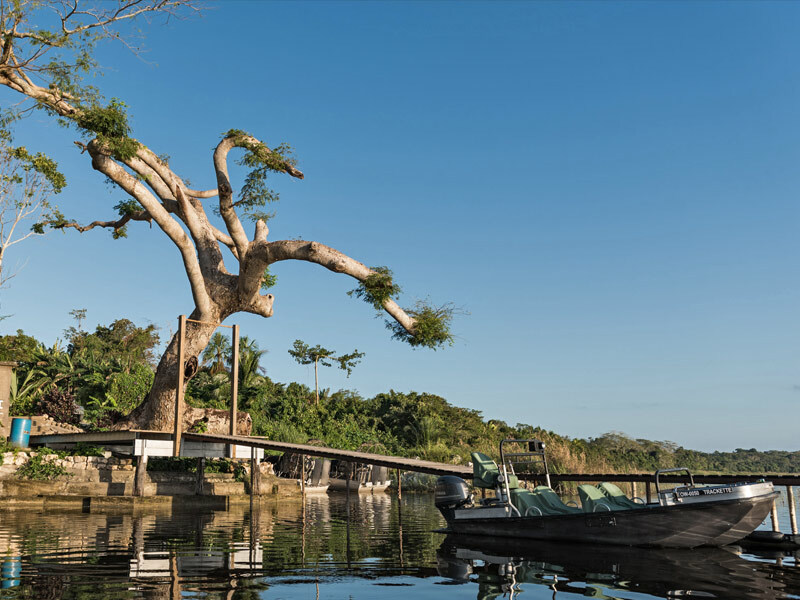 Head out in a canoe at sunrise to look for manatees and otters in the lagoon or join a night excursion on a safari boat to look for Morelet’s crocodiles, tree frogs, tarantulas, and jaguars. You can also check off the birds on your must-see list and explore the impressive Lamanai ruins (keep your eye out for howler monkeys in the canopy overhead). You’ll travel by speed boat and shuttle to the Belize City airport, fly to Punta Gorda airport in Belize’s southern district of Toledo, and then transfer to your hotel. 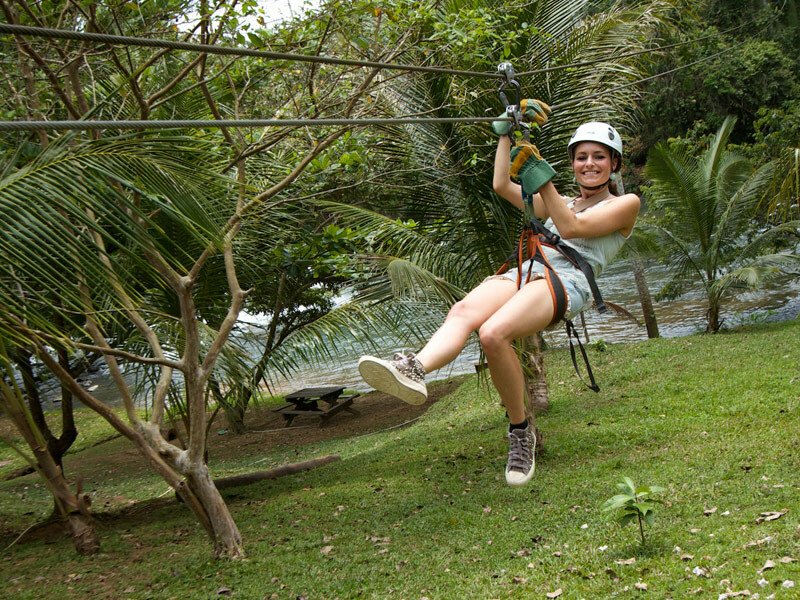 Toledo is one of Belize’s top eco-tourism destinations. The country’s least-populated district, it comprises rainforests, rivers, myriad parks and reserves, ancient Maya ruins, and modern Maya towns. Hotel options may include The Lodge at Big Falls or Cotton Tree Lodge. You’ll have the chance to explore Toledo’s many attractions. 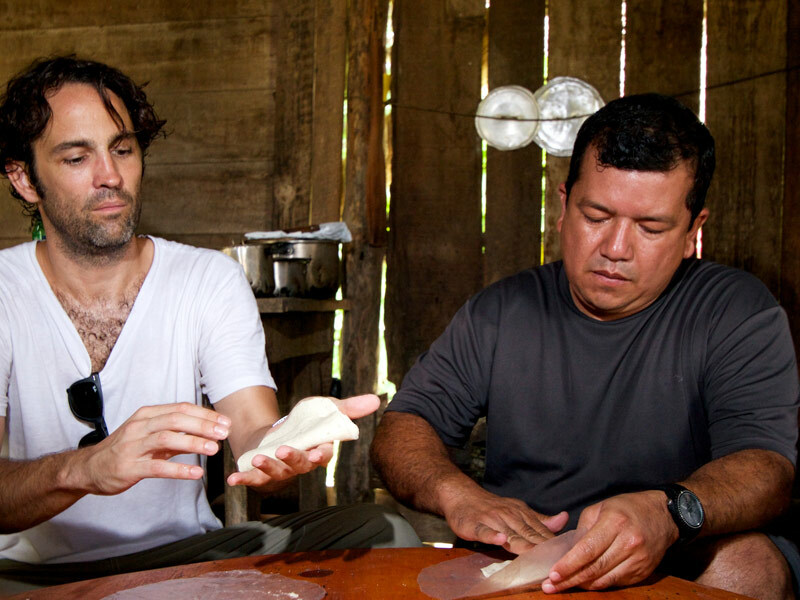 Make corn tortillas from scratch with Maya locals or check out a cacao plantation to learn how chocolate is made. There are cave systems, rivers, and waterfalls to explore, plus plenty of bird-watching opportunities. You can also tour Maya ruins, including those at Lubaantun, purported home of the crystal skull. You’ll fly to the Belize City airport in time for your international flight.